Every kid deserves a bit of pampering now and then, so why not make a day of it? 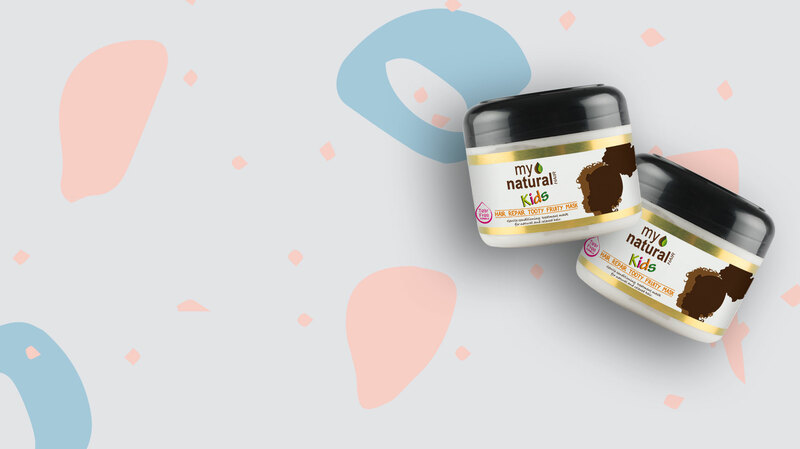 The My Natural Kid’s Tooty Fruity Hair Mask gives your gorgeous little natural that pamper day experience, leaving their hair nourished and soft. Totally worth trading candy for. The My Natural Kids Tooty Fruity Hair Mask is the perfect treatment to add to your childs hair regiment. The enriched formulation of Coconut, Olive, Jojoba Oils and Shea Butter takes deep conditioning to the next level. Coating and penetrating your precious little natural’s hair with a boost of rich moisture and nourishment, leaving their hair detangled, hydrated and defined. Children have their own priorities, and let’s be honest, hair care is not on the agenda. With the My Natural Kid’s Tooty Fruity Mask, your little natural’s hair is in safe hands. Our thick and nourishing blend of Coconut, Olive, Jojoba Oils and Shea Butter will restore your child’s natural hairs health. An emergency remedy that will set any mothers hair nightmares at ease. 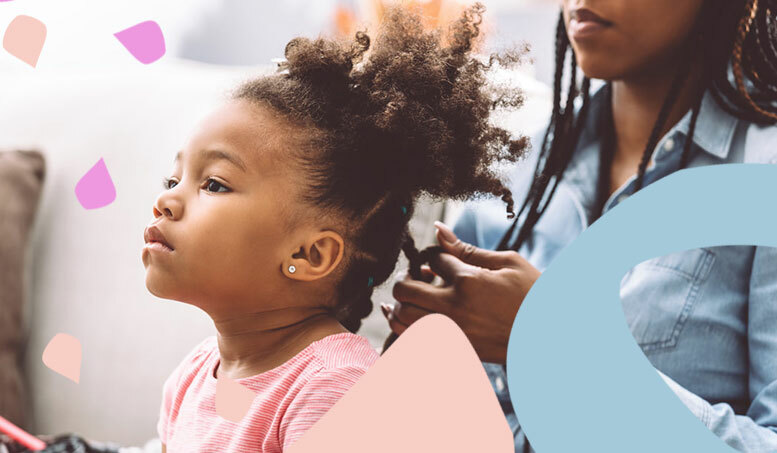 My Natural Kid’s Tooty Fruity Hair Mask is a deep conditioning treatment mask to restore your child’s natural hair after protective styling or harsh chemical treatments. This creamy blend of natural oils and creams penetrates your child’s hair reviving each strand with a rich boost of moisture and health. The My Natural Kid’s Tooty Fruity Mask is lightly fragranced with a kiwi-berry scent, leaving your child’s hair moisturised and smelling absolutely delicious. A scent so good, that you would never want them to leave. The My Natural Kid’s Tooty Fruity Hair Mask is an organic product, gentle and safe to use on sensitive skin. The lightly fragrance assists in reducing the risk of skin irritation. A gentle yet effective blend of natural goodness, tailored to your child’s unique hair needs. Aqua, isopropyl myristate, cetearyl alcohol, glycerin, Cocos nucifera (Coconut) oil, Olea europaea (Olive) fruit oil, trehalose, stearalkonium chloride, behentrimonium methosulfate, PEG-20 stearate, phenoxyethanol, Simmondsia chinesis (Jojoba) seed oil, Butyrospermum parkii (Shea) fruit butter, parfum, isopropanol, potassium sorbate, citric acid, ethylhexylglycerin, stearyl alcohol, tocopherol acetate, alpha-Isomethyl Ionone, benzyl benzoate, butylphenyl methylpropional,geraniol. Apply to freshly cleansed and wet hair. After washing with My Natural Hair’s Kids Gentle Shampoo, apply a generous amount of the Tooth Fruity Hair Mask to wet hair. Leave on for 5-7 minutes. For more intense conditioning, cover hair with a plastic cap, leave on for up to 15 minutes. Rinse. Style as usual. Its an amazing product !! I have a lot of deep conditioners but I always go with My Natural Hydration Mask because my hair loves it? I believe that when you deep condition your hair on a regular basis, your hair flourish. The Hydration Mask is giving my crown the TLC it deserves ? I have been struggling with my hair being dry & breaking. I tried the mask from a friend's recommendation & it worked like a dream. From the first time I used it I saw results. It left my hair rich with moisture & fluffy soft. I love it! !